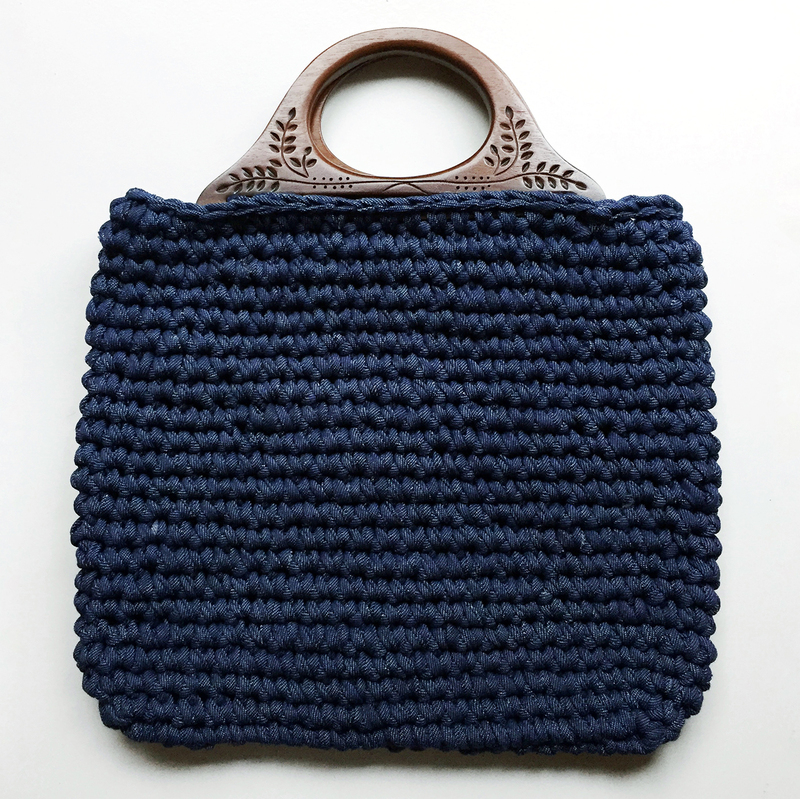 This crochet project bag came about because a friend had a couple of pairs of cute vintage style bag handles, and kindly gave me a pair in return for suggesting a design for a crochet bag to suit them. The handles are available from Studio Mio if you like them! 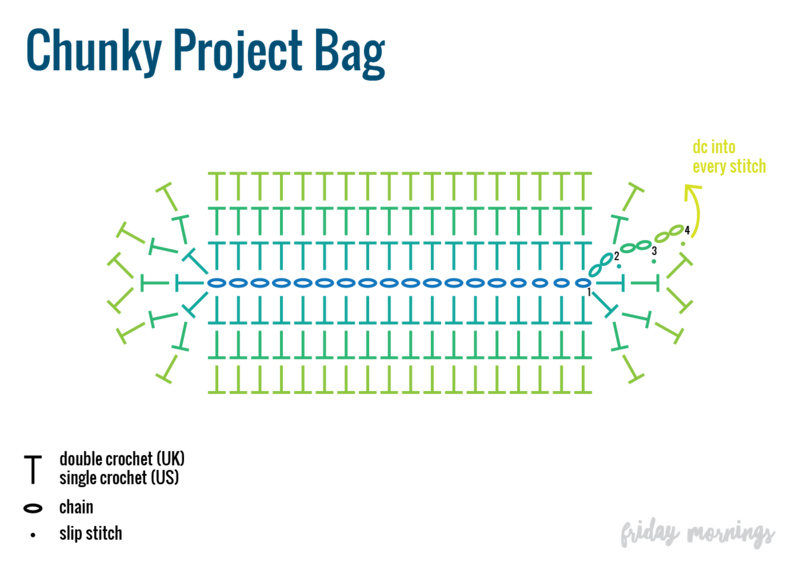 We decided to use t-shirt yarn for the project because it's fun and most of all, quick. I thought I'd just write a bit of a pattern of what we did. I've not written patterns before so it is a bit longhand, but I did include a nice chart for you! It's a bit flexible, the height can be finished to whatever you prefer, or just when you run out of yarn. 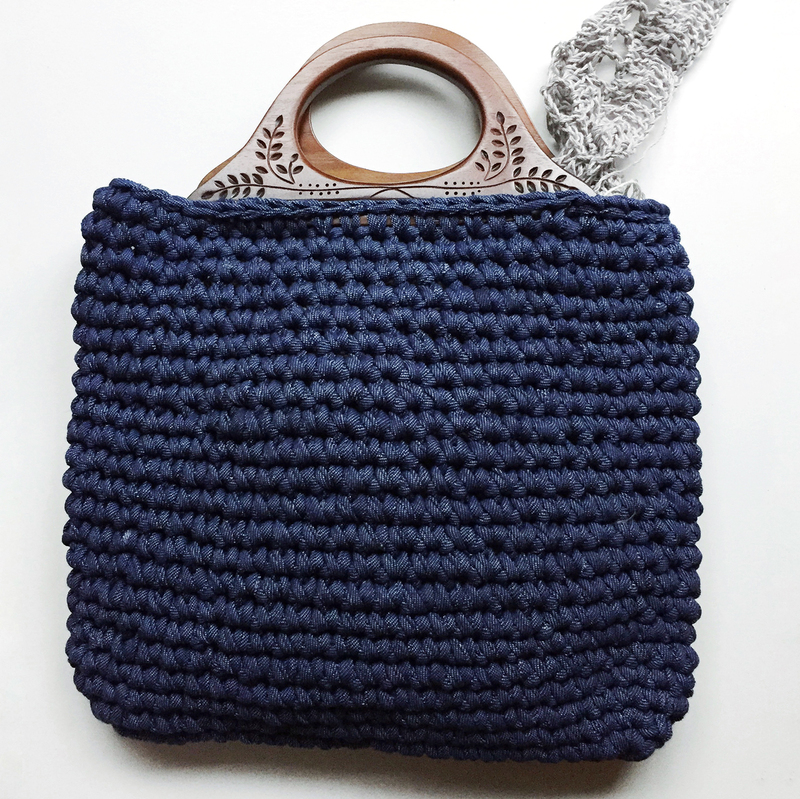 The shaping of the bottom gives it a nicely rounded finish, it isn't flat - it gently curves out, and looks rather good when stuffed with say, another crochet project. You will need a 12mm hook and a ball of Hoooked Zpaghetti. My ball was this one. These balls are 120m/850g, and a 'super chunky' yarn. I have to say t-shirt yarns vary greatly, if you use something different you may get different results. This pattern uses UK terms! Have a look at the chart before you start! 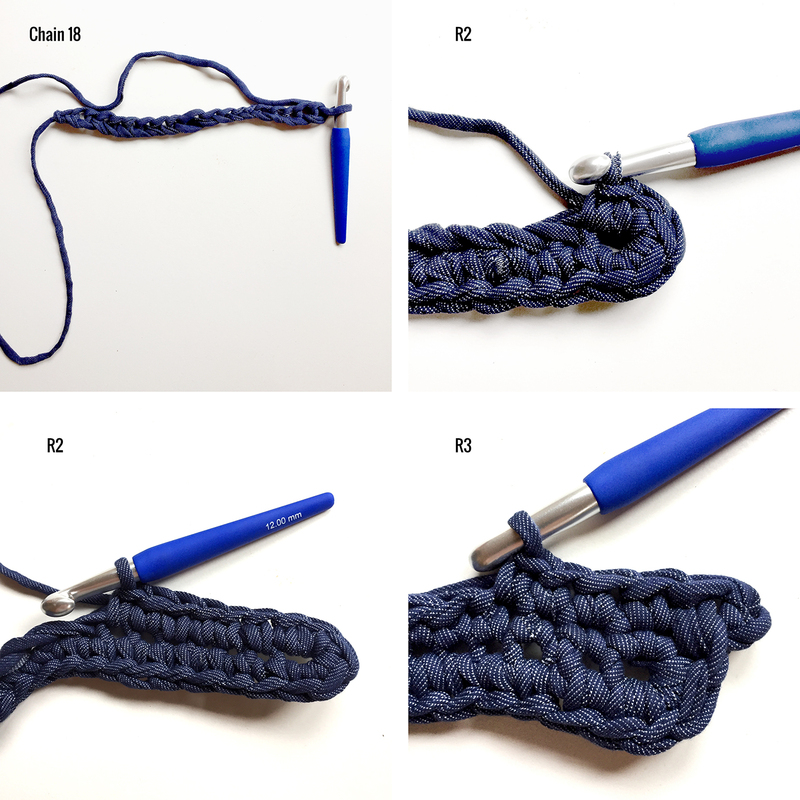 Start by attaching yarn to your hook with a slip knot. Continue... From here on just dc into every stitch, working in the round like a spiral, without stepping up for each round. Handle: To join in the handle I continued until I had used my yarn up apart from a 30cm tail, then pulled back one entire round of the bag, until I was in the middle of an edge - ie. not middle of front or back. I placed the handle on the bag - centring it - to see which stitch would be the first stitch I would start the joining. 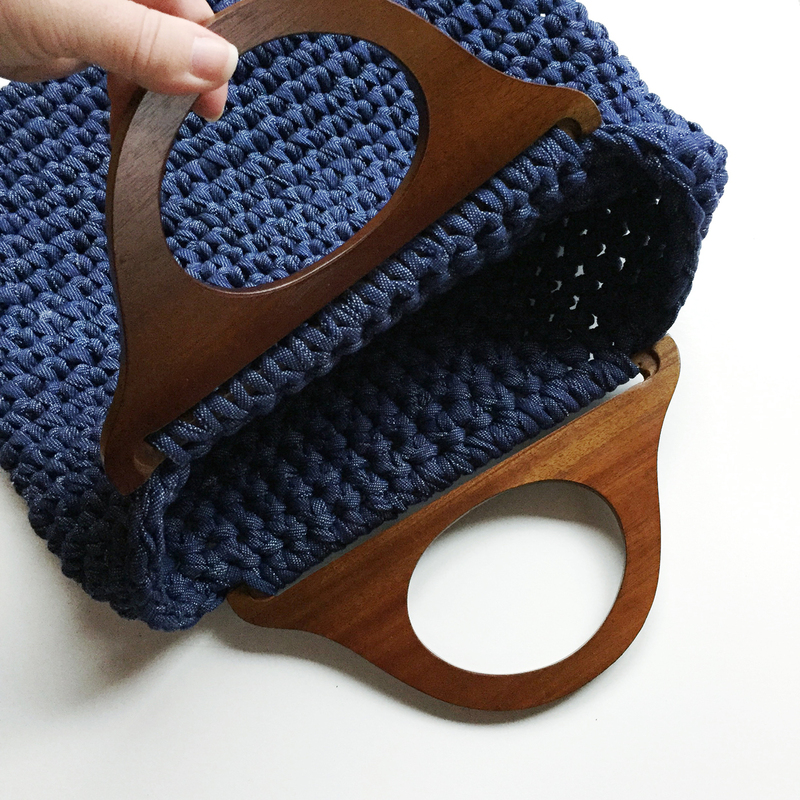 You will need a smaller crochet hook to pull the yarn from back to front through the slot. Watch the video to see how I did it. It is just dc stitches, where I put the hook through the next stitch, pull the yarn through as normal, yo using yarn pulled through the handle slot, complete the stitch. Finishing: Once both handles are attached, I use sc stitches to fade out the last few stitches around to the start of the next handle, then use a large yarn needle to sew in the end. Hey that turned out well! Thanks! Yeah I'm pretty happy with it, it's cute. How long until I run out of needles?